A wide variety of stakeholders representing online platforms and their business users, as well as European policymakers, gathered on 6th September at the Czech Permanent Representation to the EU to discuss the EU Commission’s proposal on promoting fairness and transparency for business users of online platforms (more widely known as the platform to business or P2B regulation). Platforms are key enablers of entrepreneurship, trade and innovation, which improve consumer welfare. They offer access to new markets and commercial opportunities, allowing businesses to reap the benefits of the internal market and grow beyond the EU. They also allow consumers to enjoy increased choice of goods and services offered online. In his opening remarks, the Deputy Head of the Czech Permanent Representation to the EU Ambassador Jaroslav Zajíček described how platforms quickly became a reality in the everyday lives of European citizens. He highlighted the need for a prudent regulatory approach towards a fast-paced platform economy. The Vice-President of the Confederation of Industry Milena Jabůrková thanked Ambassador Zajíček and the Czech Permanent Representation team for co-hosting the seminar and introduced the position of the Confederation towards the draft Regulation. “In the Confederation of Industry of the Czech Republic we witness digital transformation not only of individual companies but of entire sectors. This is reflected also in changing the membership base. More and more members are going digital and into platform services. This is why this draft regulation is high on our priority list,” said the Vice-President. “Online business including provision of intermediary services must be fair and transparent. At the same time we should not limit abilities of platforms to offer services their customers require. We should not make it more difficult and expensive to users to access these services.” Also pure B2B platforms must stay out of the scope of the Regulation. Michal Feix from a successful Czech online company Seznam.cz addressed the transparency related to rankings. He believes that although transparency is crucial, the regulators also need to ensure that platforms are not required to disclose their trade secrets. That's why the Ranking article of the regulation should be redrafted and clarified, says Michal Feix. According to Werner Stengg from DG CONNECT, the Commission’s main objective is to ensure the right balance in commercial relationships between platforms and their usually much smaller business users. In his remarks, he underlined that while achieving this objective, it is not the Commission’s intention to upset the balance of the platform economy in Europe. “We want companies like Seznam.cz to be successful,” concluded Stengg. 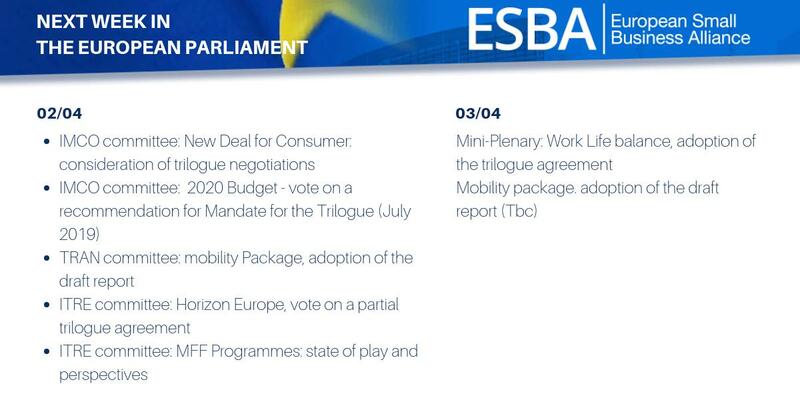 Patrick Gibbels from the European Small Business Alliance (ESBA) focused on the opportunities brought by platforms to small companies with an online presence. Those include increased exports possibilities and widening of their consumer market. He called for a cautious approach towards search engines during future works on the P2B regulation. He also called for more transparency in rankings, sufficient notification of major changes in terms and conditions, better - preferably human - customer care via websites and a clear explanation and a chance to rebute delisting of small companies from platforms. 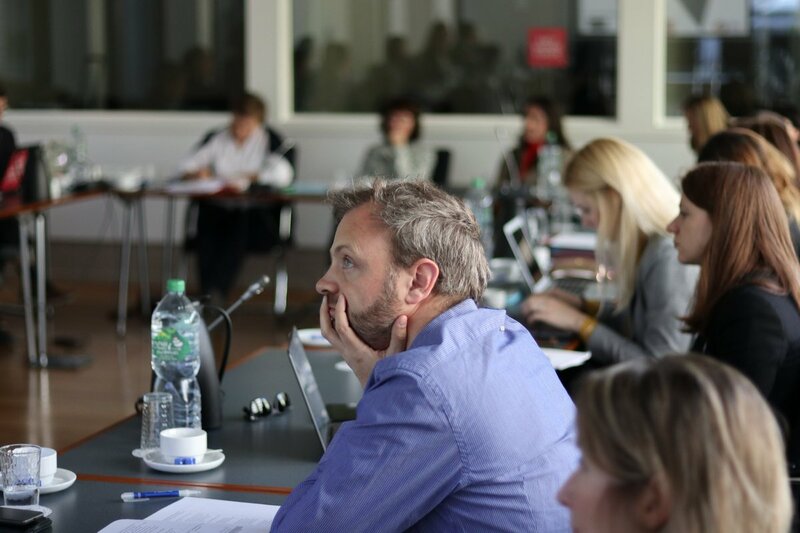 Jakob Kucharczyk from CCIA and Siada El Ramly from EDiMA, who represent innovative tech companies, described the platforms’ point of view and warned against specific parts of the current draft Regulation. Both highlighted the need for the right balance between the ranking transparency obligation enshrined in the Commission’s proposal and protecting trade secrets. Another area they touched upon was the redress provisions for business users: “It is in platforms’ own interest to resolve any problems which might arise with their business users as quickly as possible. Platforms’ business model is based on their business users becoming successful. Having said that, collective redress needs to be properly safeguarded to prevent abuse from unfair competitors” Mr Kucharczyk said. 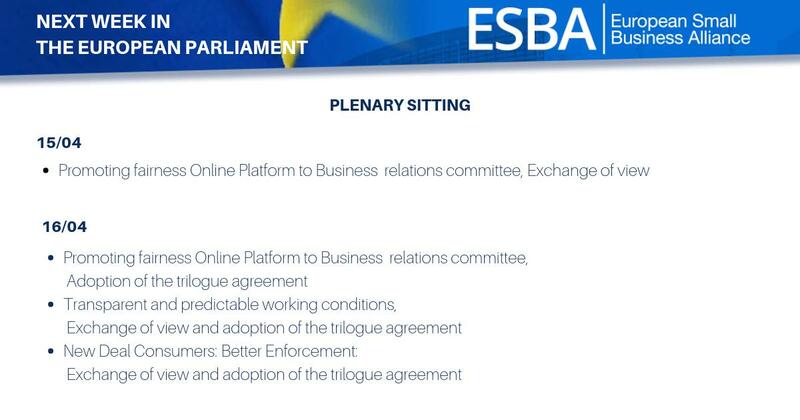 Platform to business (P2B) regulation aims to strike the right balance between platforms and their business users. This goal is necessarily to be achieved without threatening innovation in the EU, limiting consumer choice or impeding business opportunities for platforms' business users. These topics were discussed during the seminar together with EU officials as well as platforms' and their businesses' representatives. The most challenging aspects of the proposal including ranking transparency (how to make sure businesses understand ranking without forcing platforms to reveal trade secrets) and redress options for businesses (mediation, collective actions, etc.) were discussed during the seminar, coupled with tangible recommendations for EU decision-makers on how to ensure the P2B regulation works in practice and guarantees that the EU platform economy could grow.